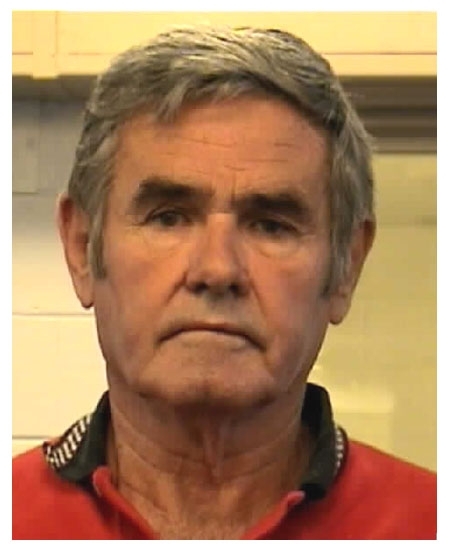 Al Unser Sr. was arrested in August 2006 in New Mexico and charged with obstructing police officers responding to a carjacking and shooting in the Albuquerque neighborhood where he lives. According to police, the 67-year-old four-time Indianapolis 500 winner tried to bypass a roadblock to get to a family property in the vicinity of the police action. After being ordered to stop, Unser exited his Ford Excursion and continued arguing with cops, eventually getting cuffed and taken to a Bernalillo County sheriff's substation where he posed for the above mug shot. Submitted by greglisi on Wed, 2011-03-23 15:48. I guess he's not THAT fast !